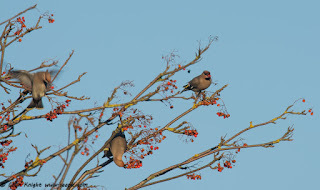 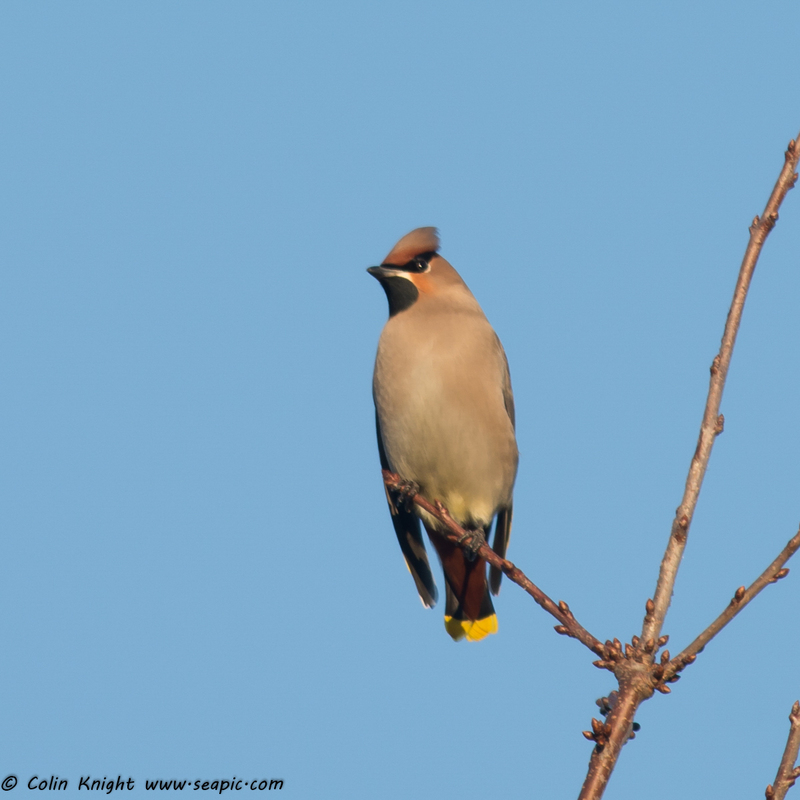 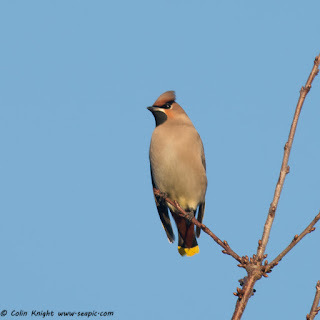 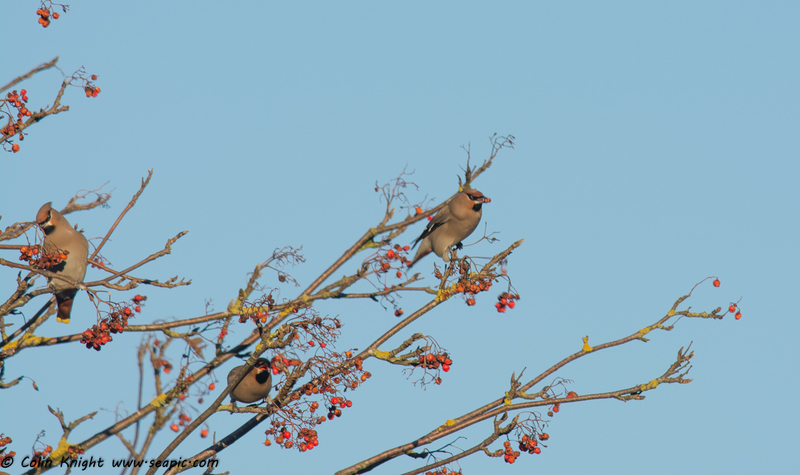 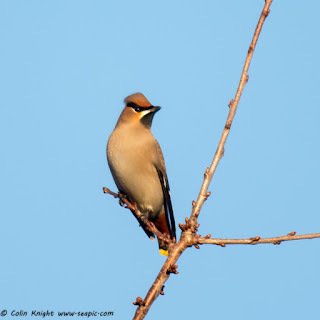 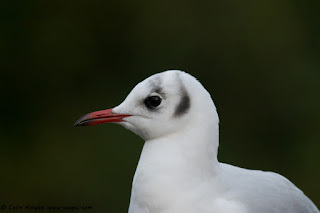 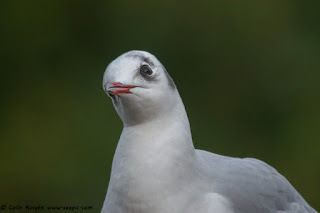 We passed the well reported flock of waxwings on Manchester Road on the way over the Snake Pass on Tuesday so the following day I joined other enthusiasts at Crosspool. 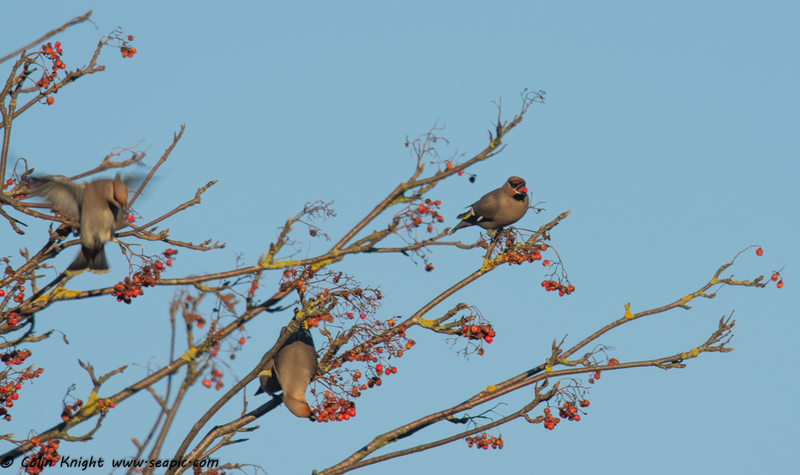 A flock of 16 was feeding on rowan berries when I arrived. 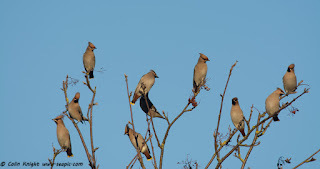 In the afternoon and the following day more joined them. 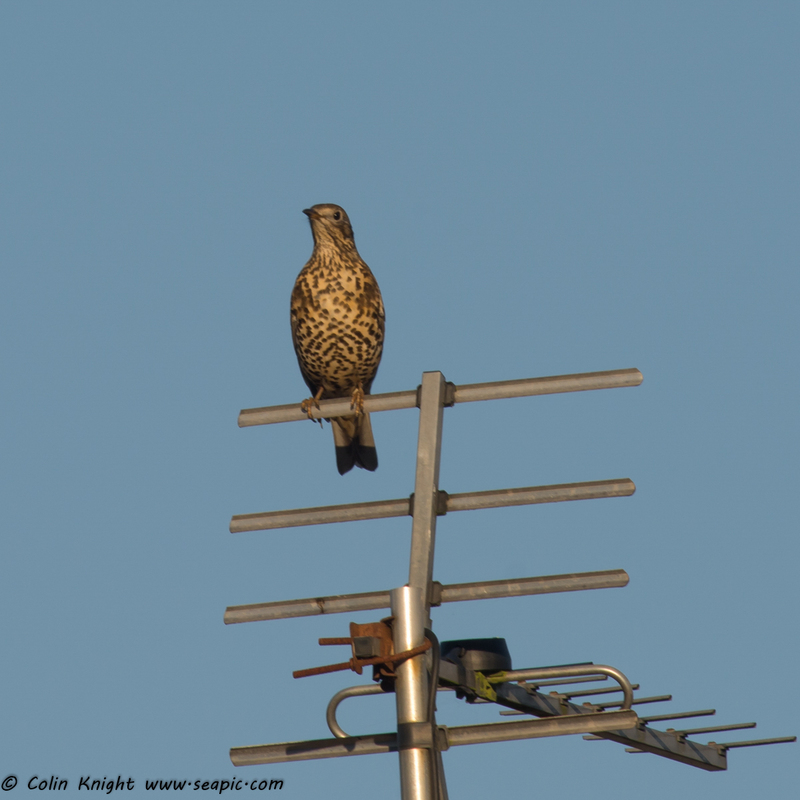 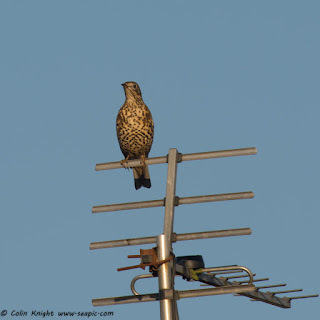 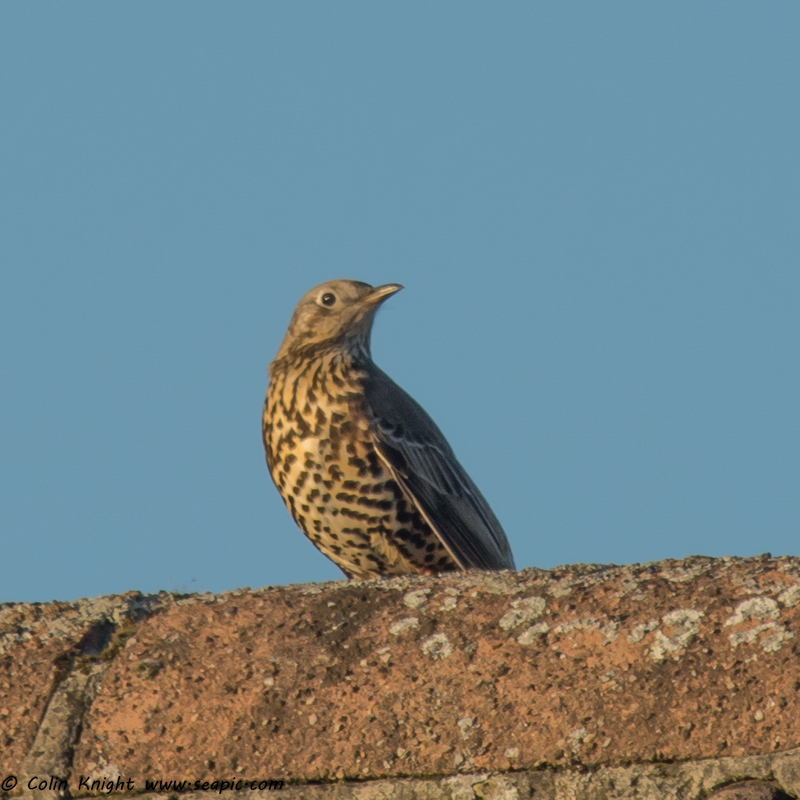 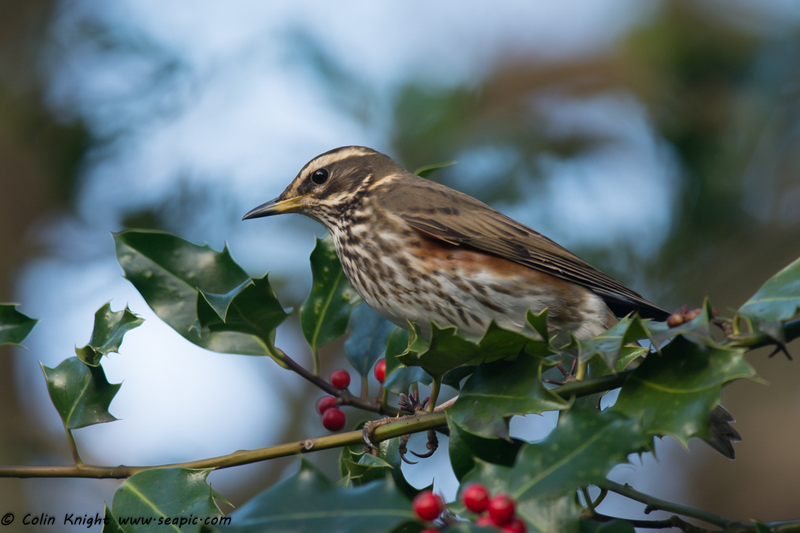 Redwings were also feeding and a Mistle Thrush roosted. 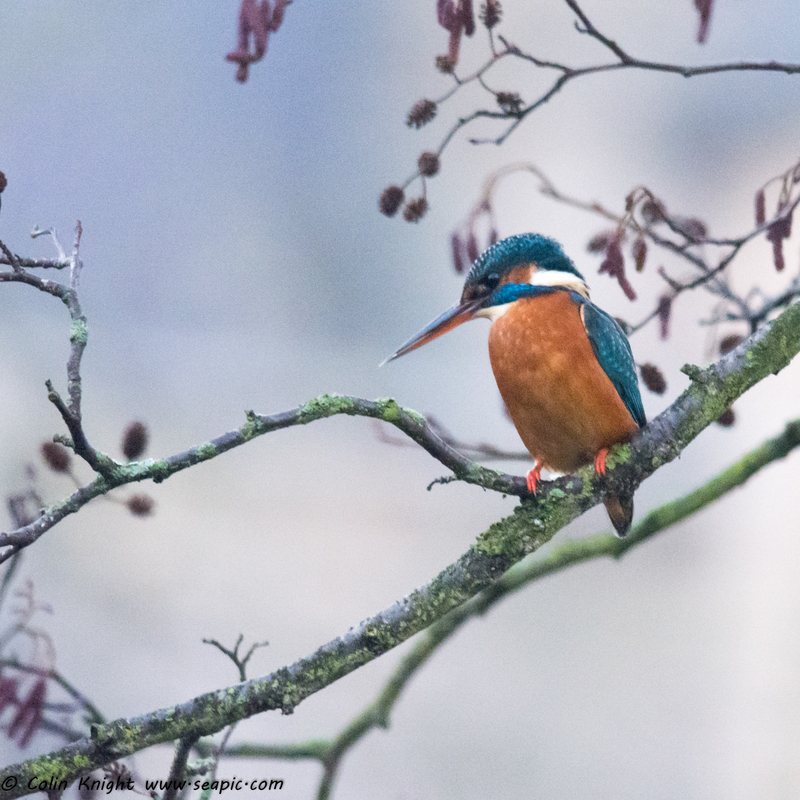 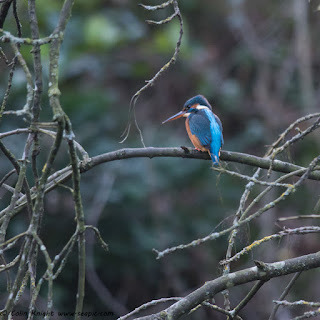 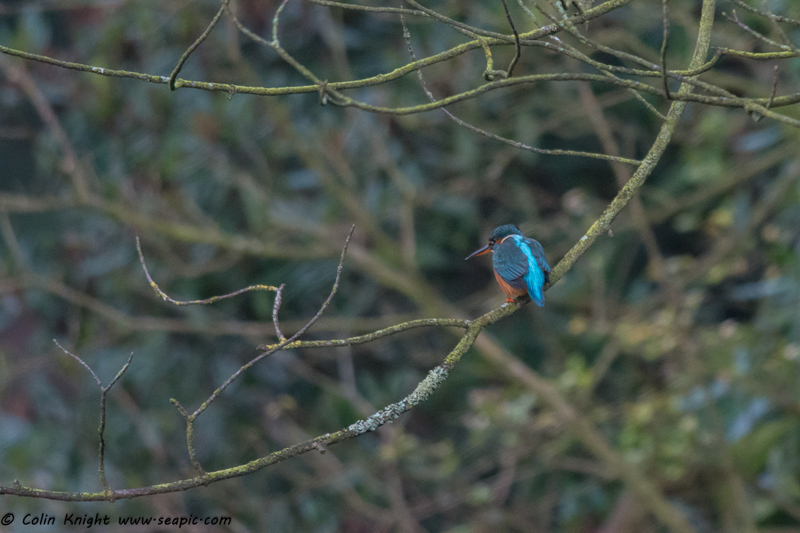 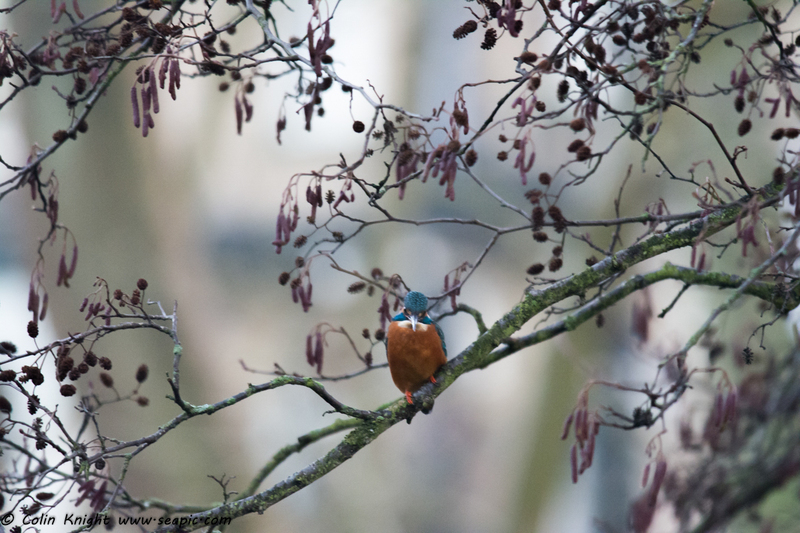 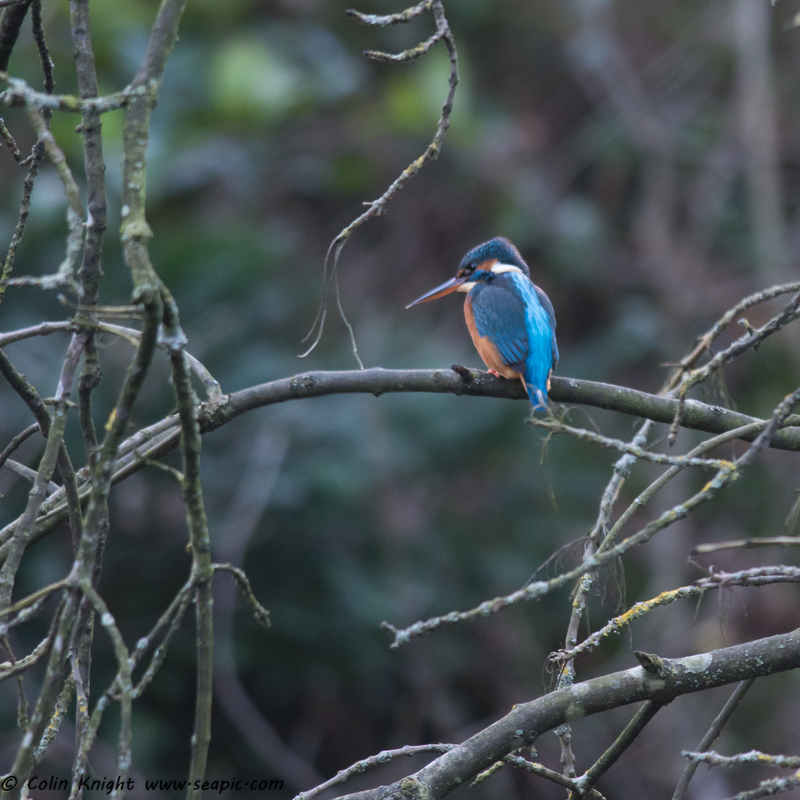 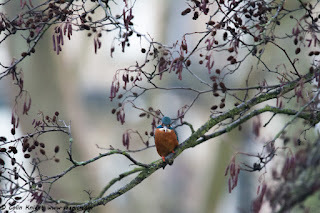 At Endcliffe Park the female Kingfisher fished and a male arrived. 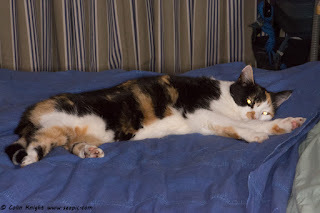 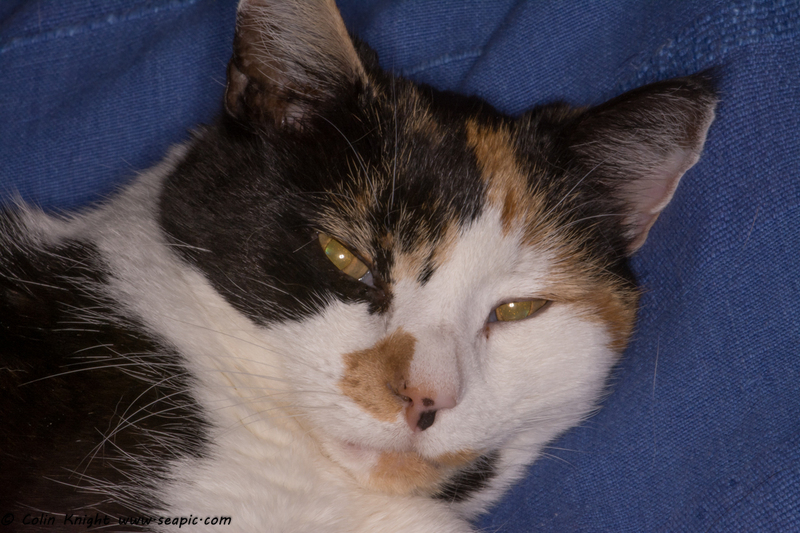 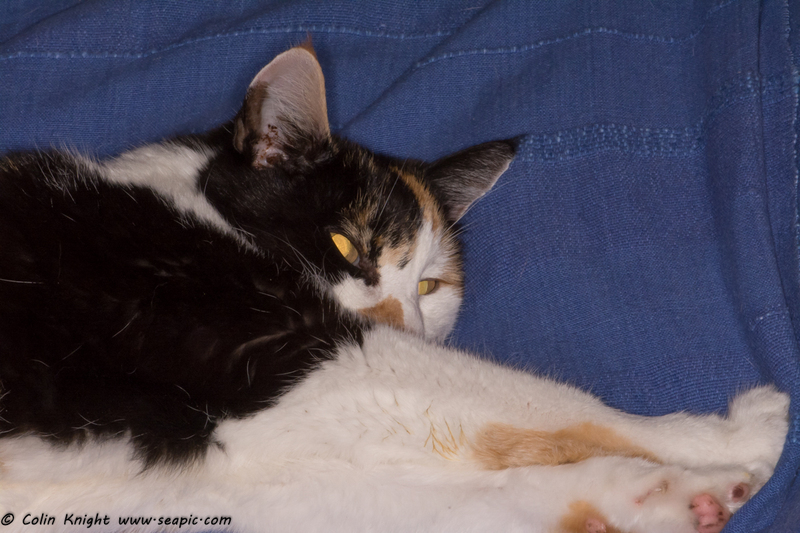 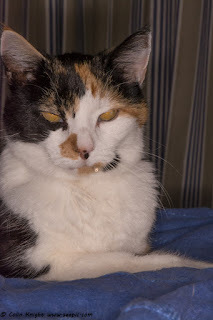 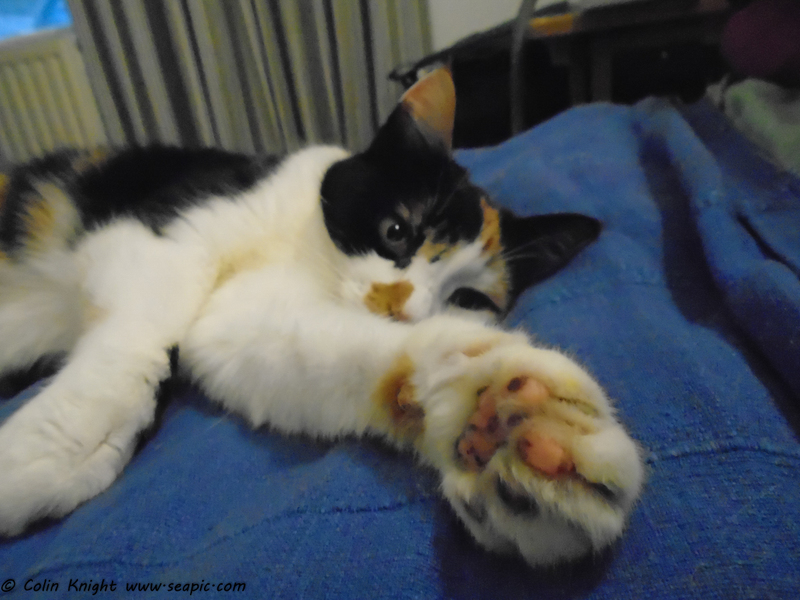 Scooter, the resident elderly feline, sleeps in our room and when her food dish is empty, walks over us until the house slave fills it up (she has a thyroid condition and eats voraciously). 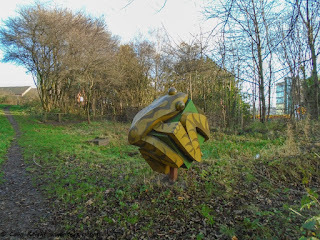 We arrived at Danuta and Ken's in Sheffield on Thursday afternoon for our annual migration north. I visited Endcliffe Park on Friday and immediately saw a female Kingfisher, probably the one I photographed as a juvenile a couple of years ago. 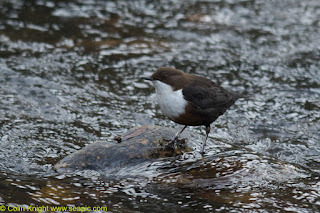 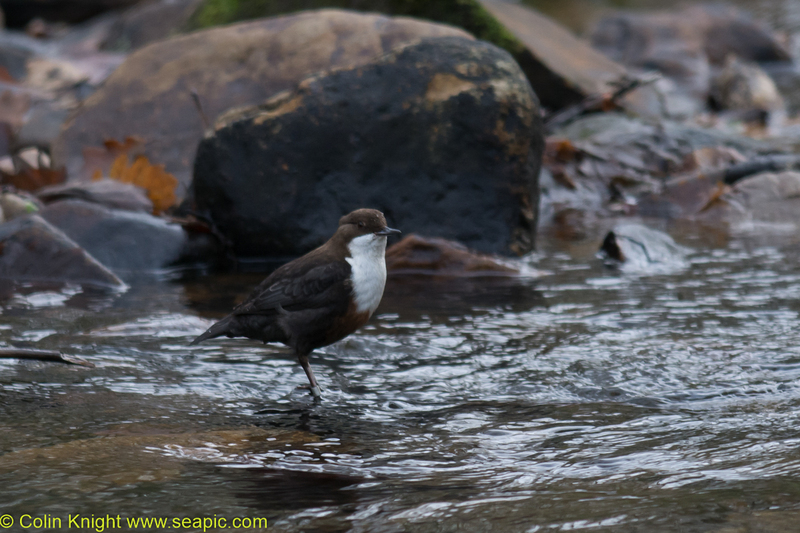 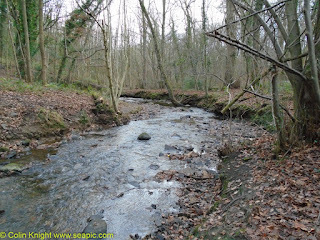 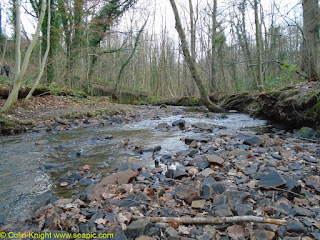 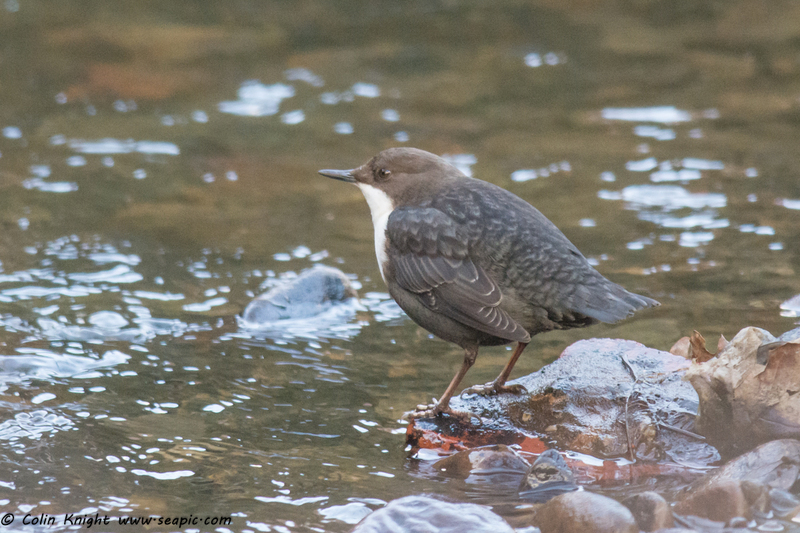 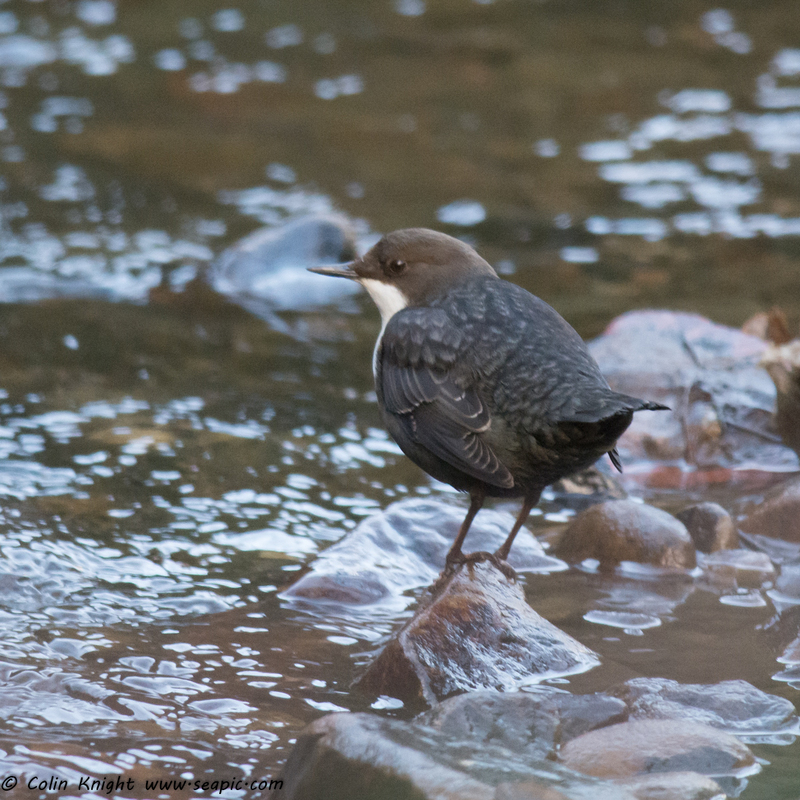 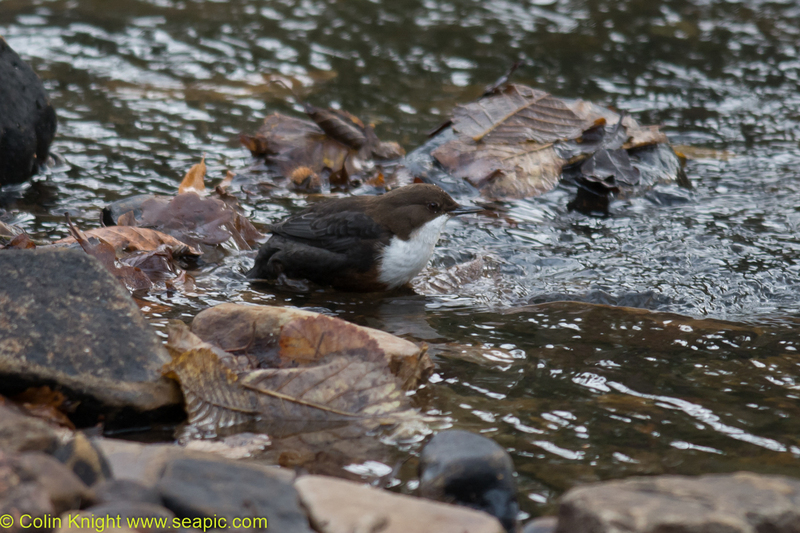 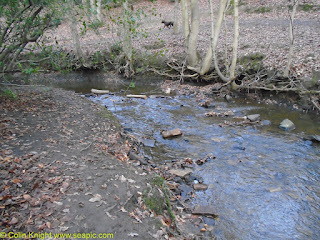 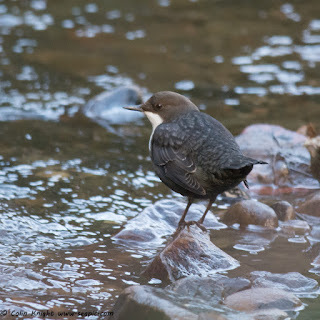 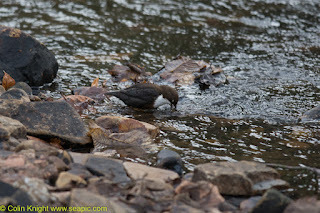 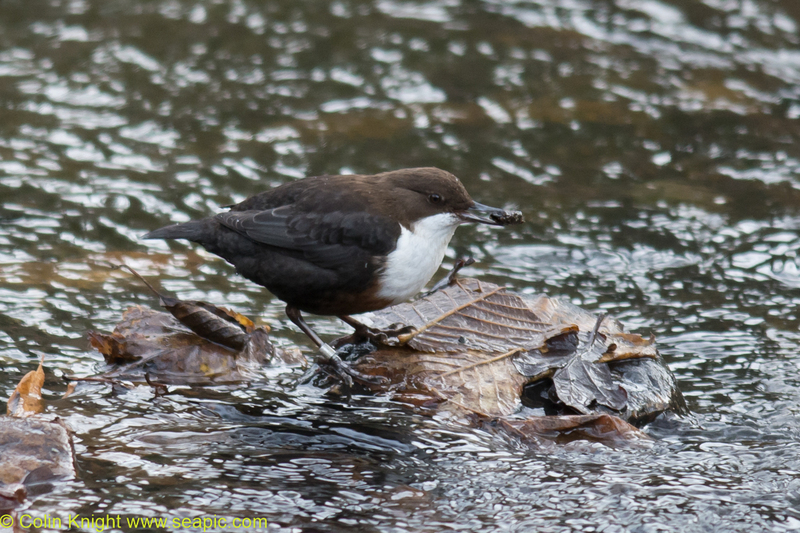 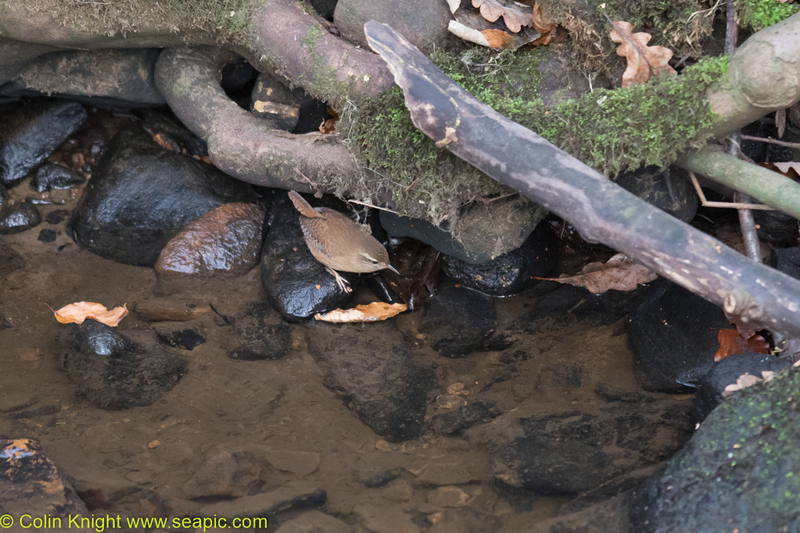 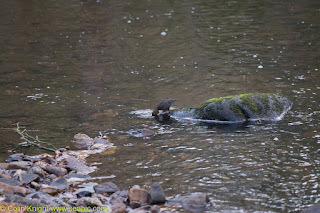 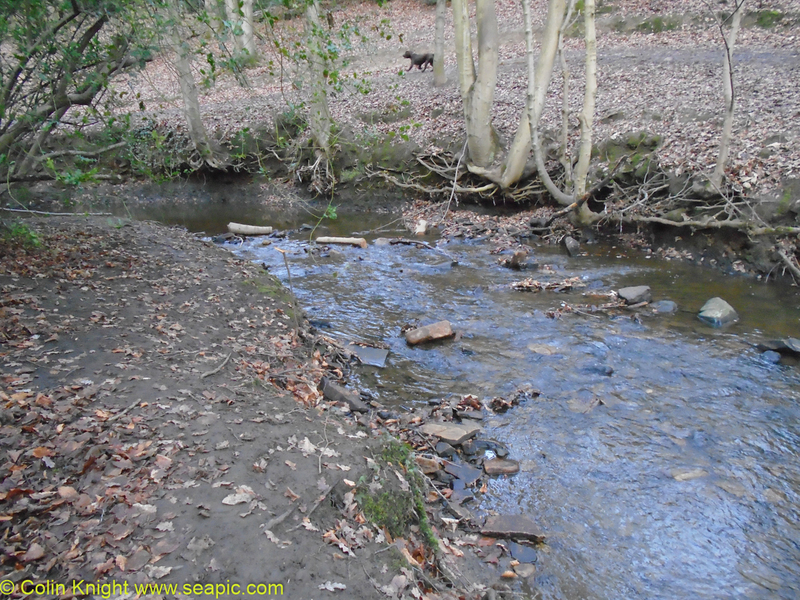 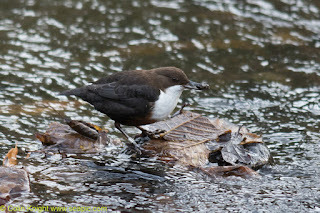 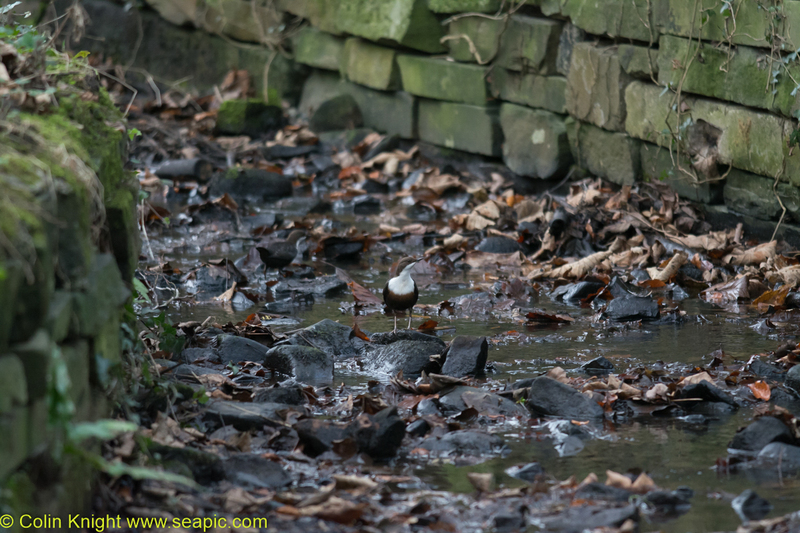 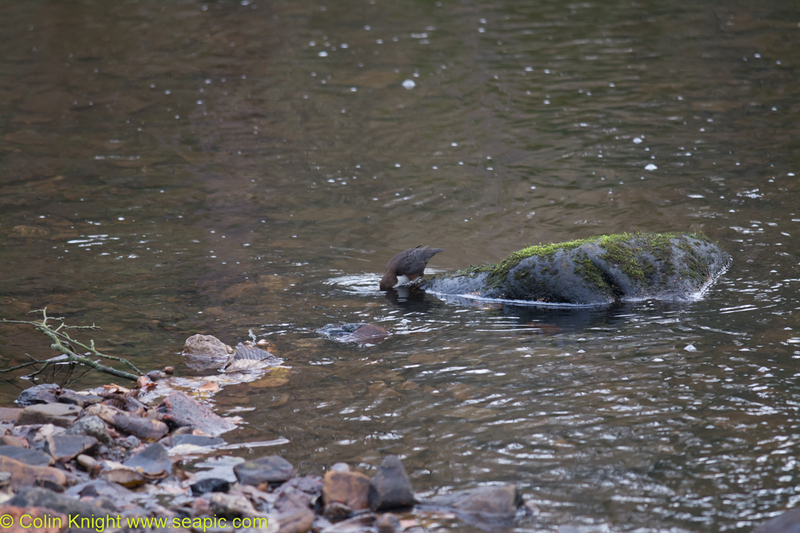 I then followed the Porter Brook upstream and found a Dipper, This pattern was repeated on the next four days. 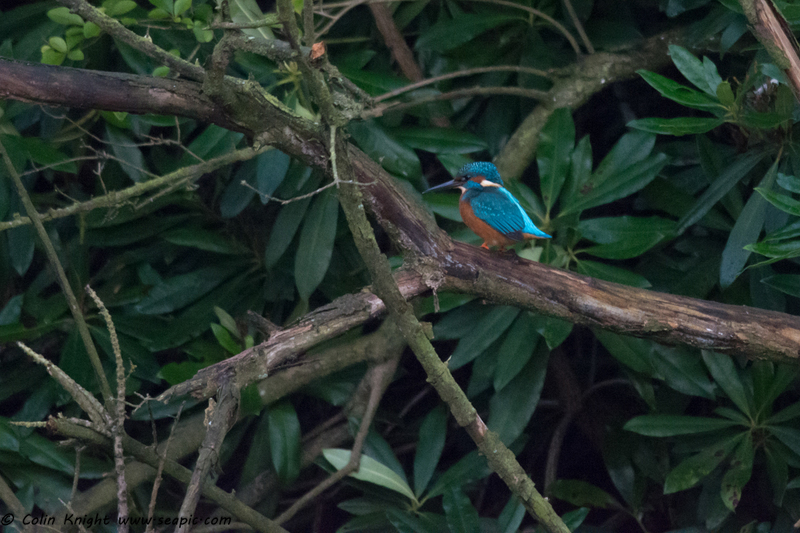 Today I took Sue and we watched the kingfisher catch a fish. 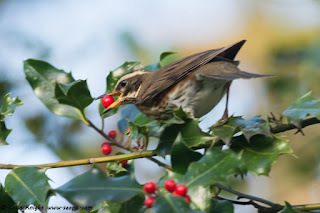 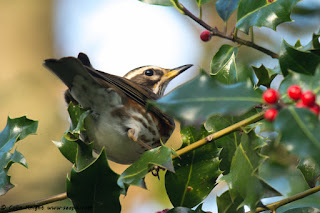 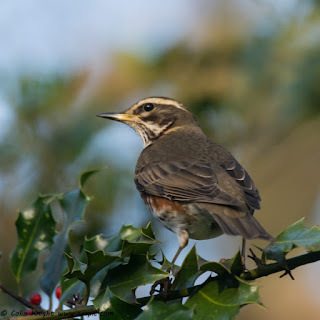 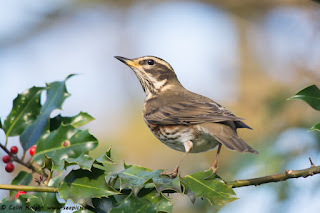 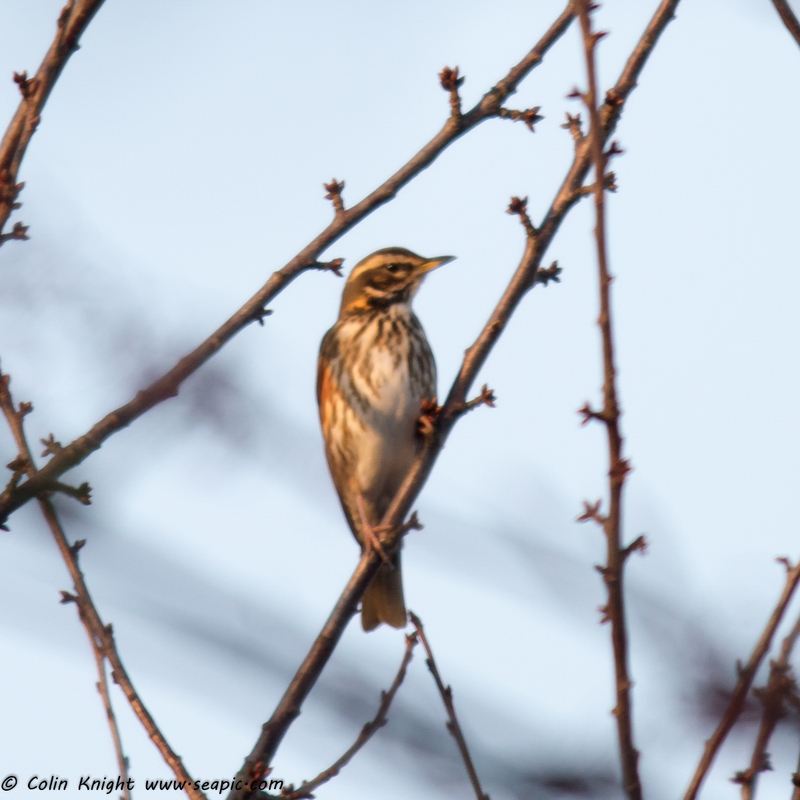 We also saw the Redwing that has been feeding on the holly berries. 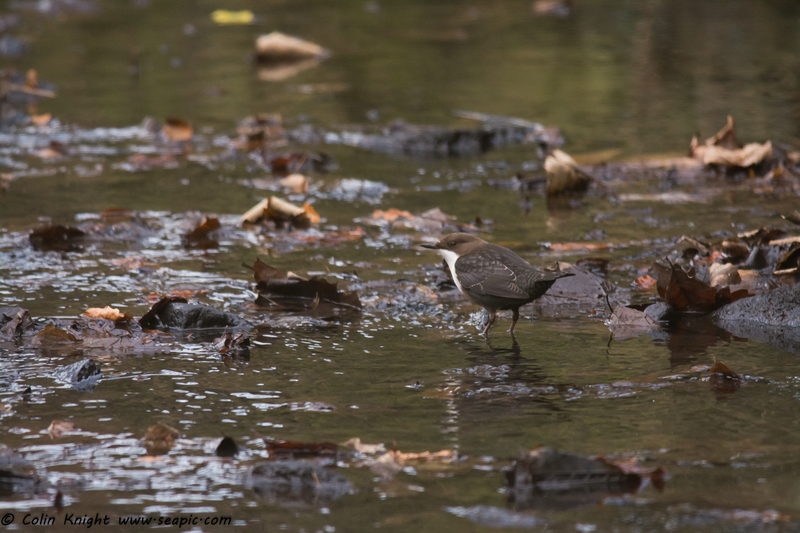 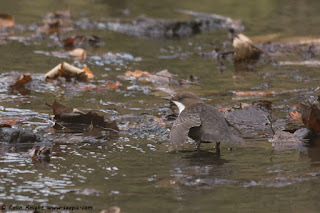 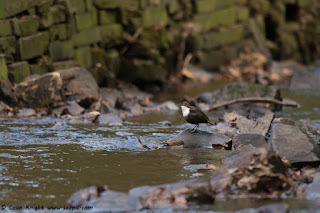 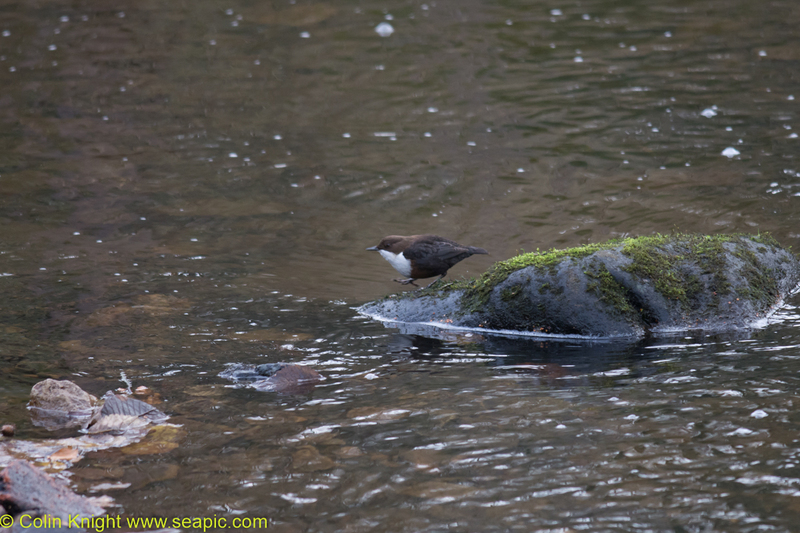 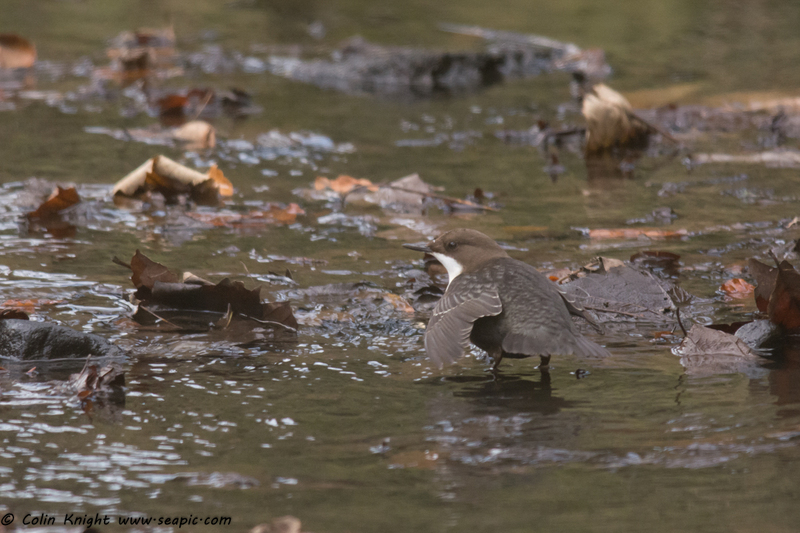 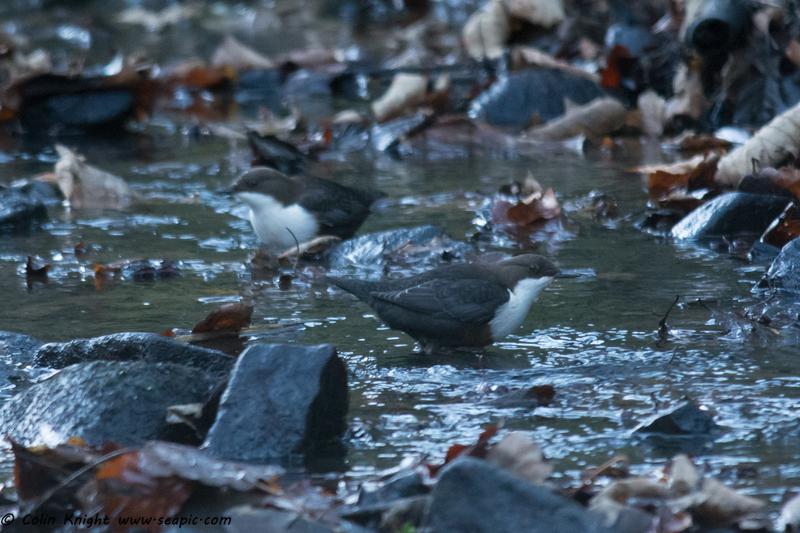 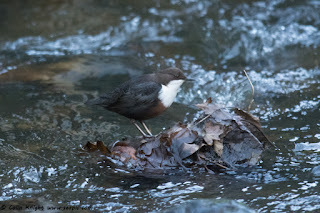 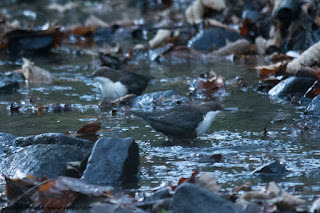 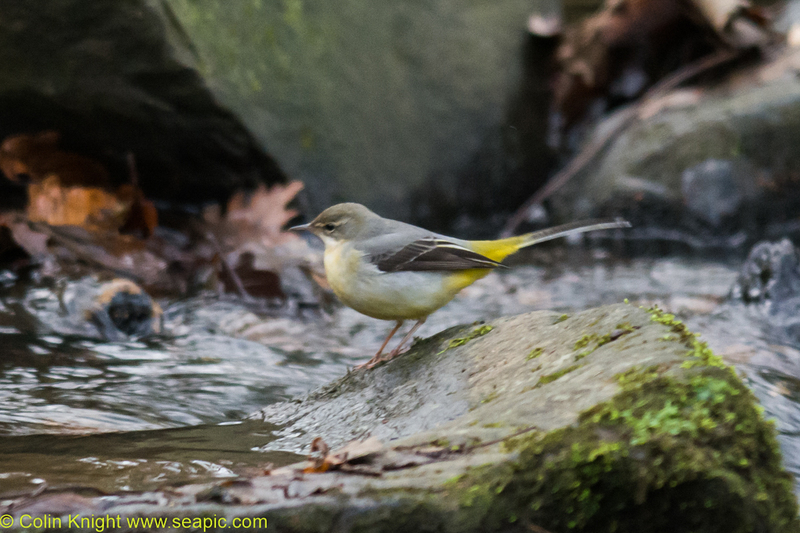 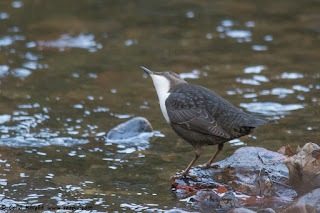 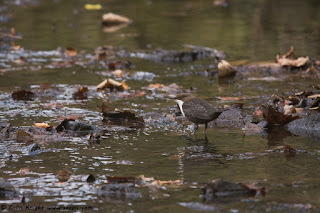 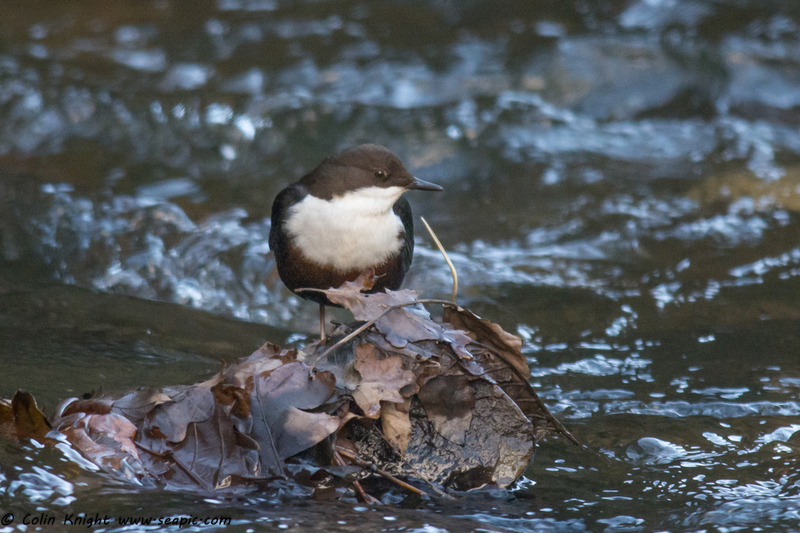 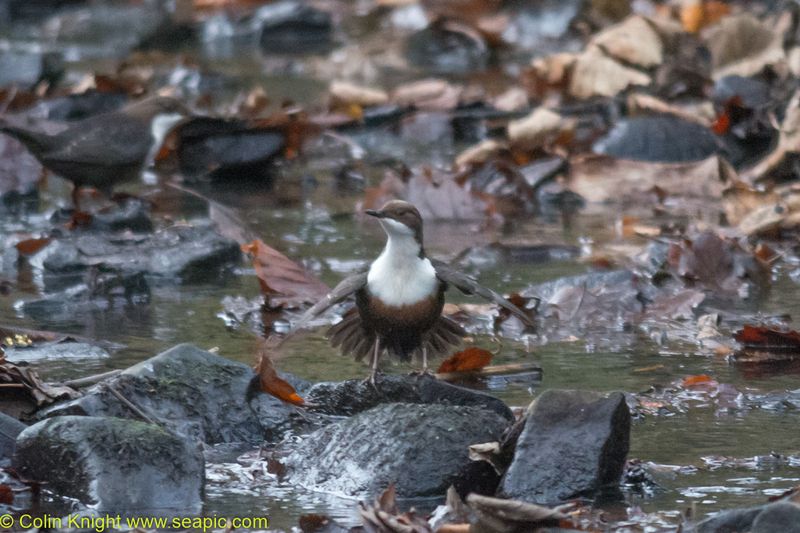 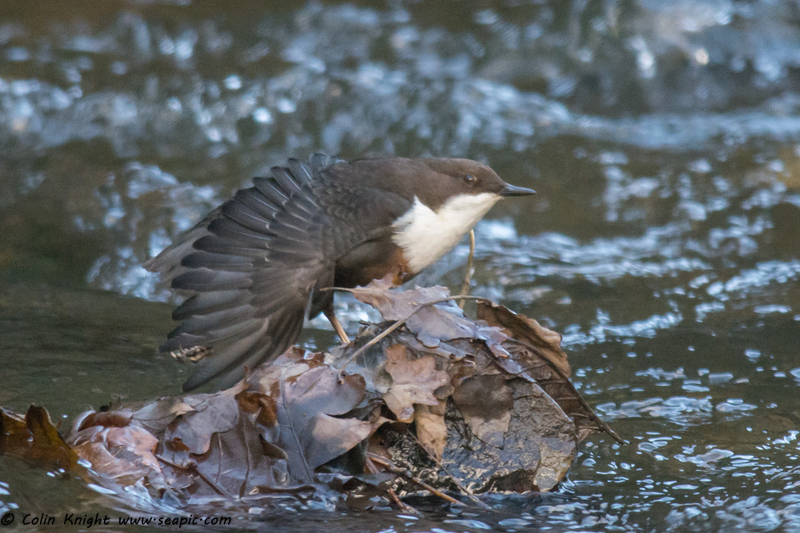 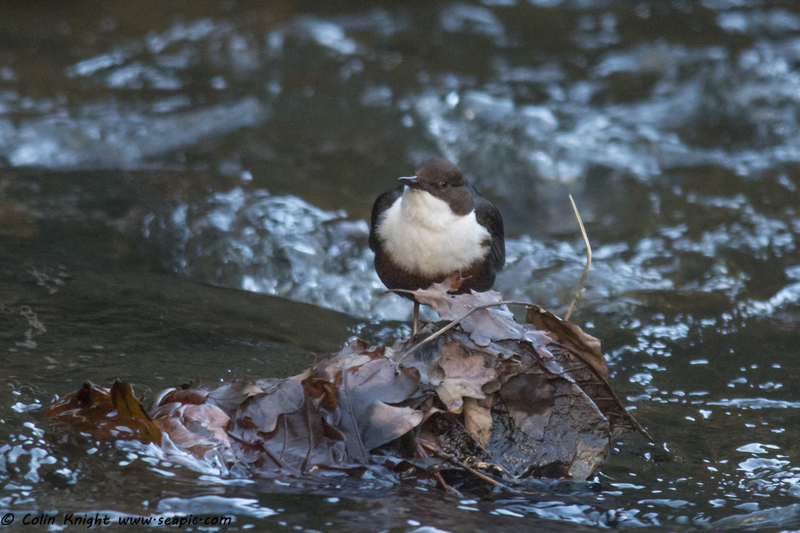 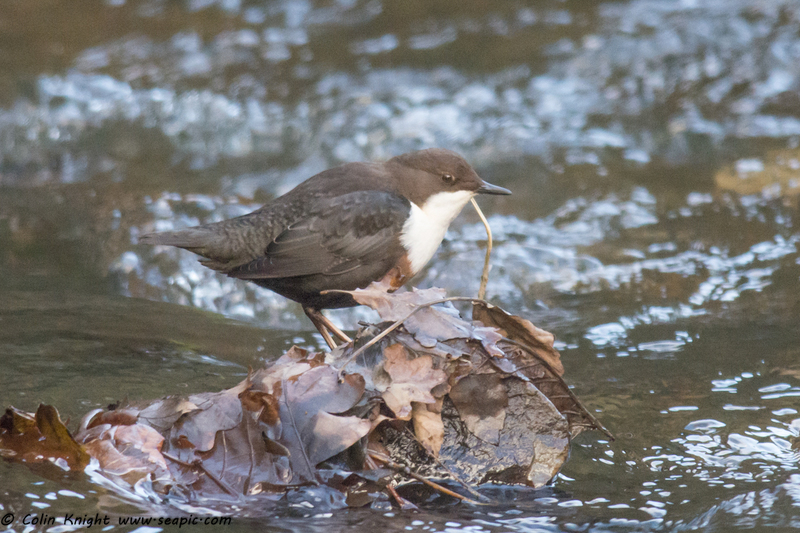 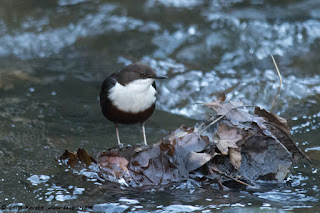 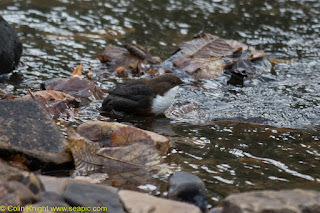 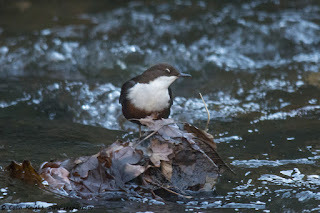 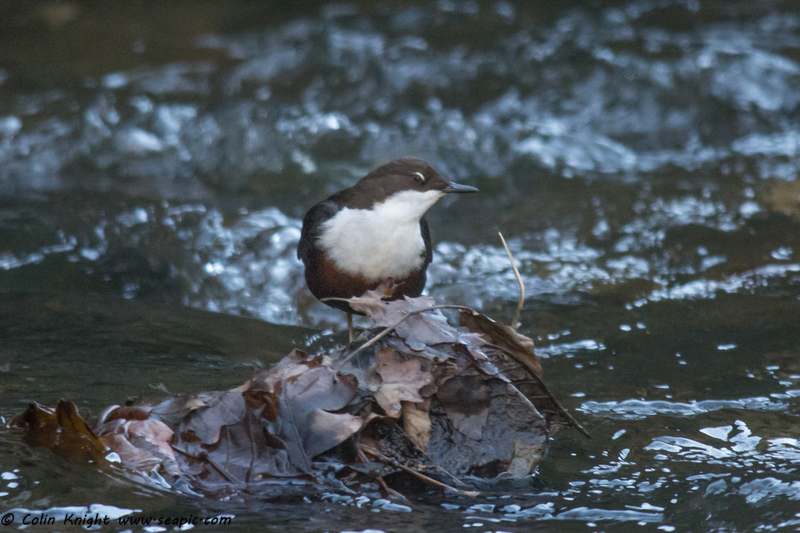 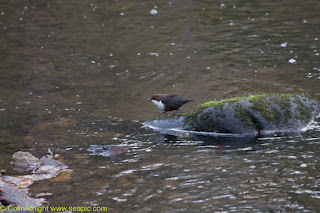 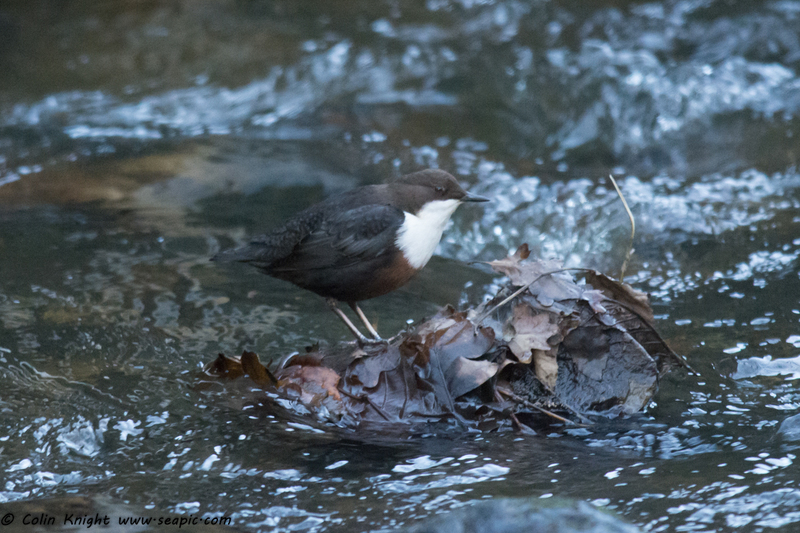 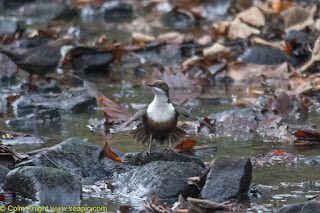 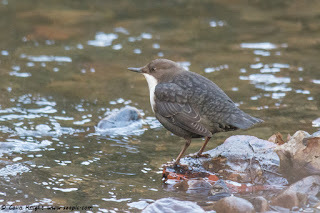 Yesterday I saw a pair of dippers again at the usual place. 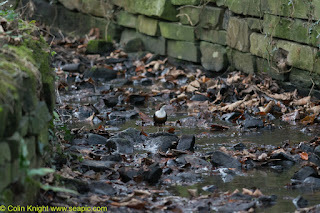 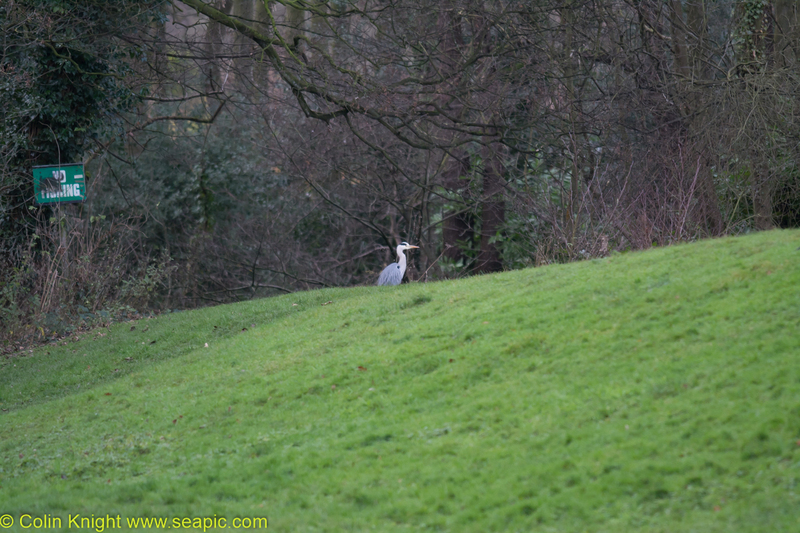 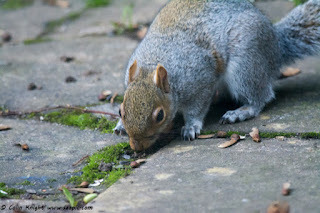 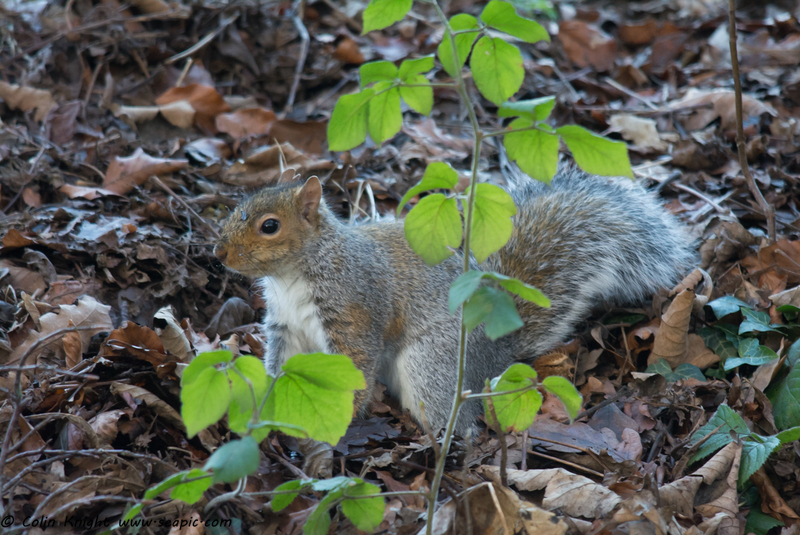 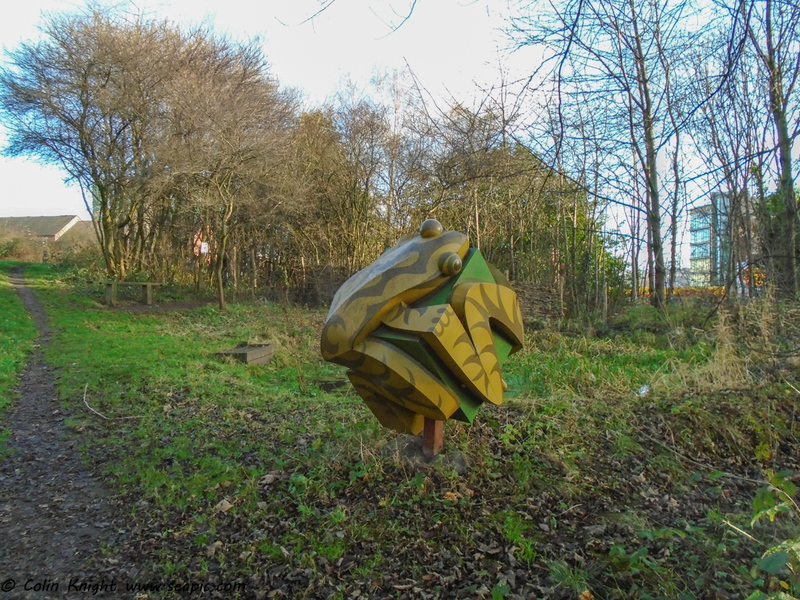 This morning we visited Sunnybank Park, managed by Sheffield Wildlife Trust. 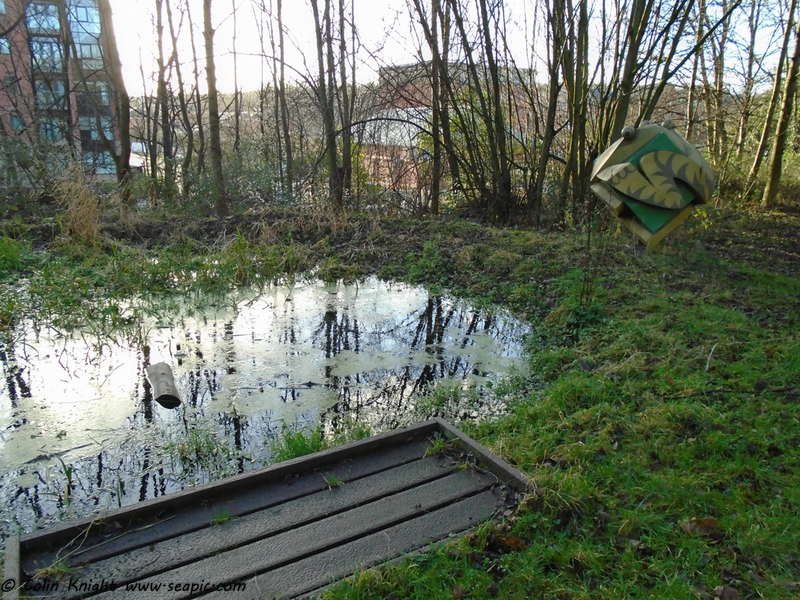 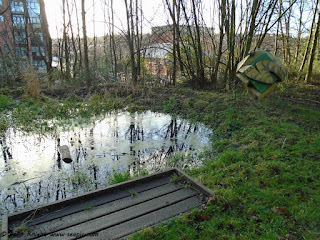 It has a nice little pond which should be teeming with life in the Spring. 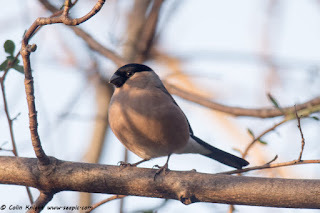 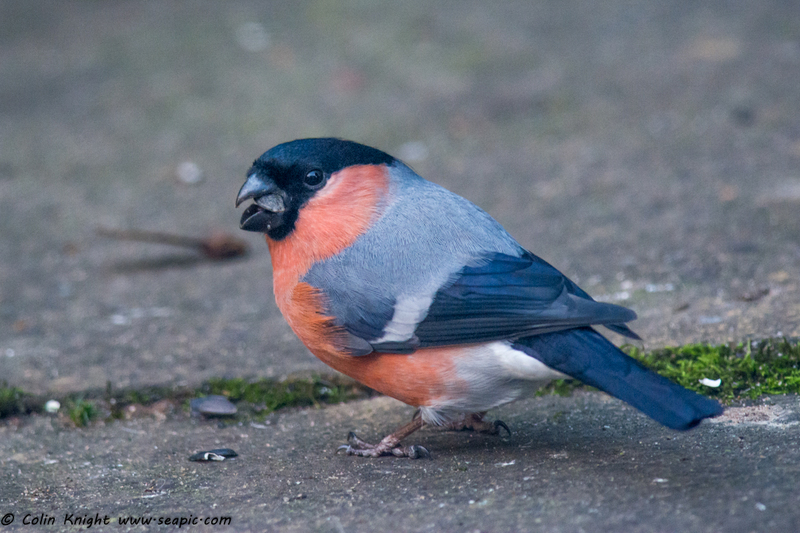 In the garden I photographed the bullfinches which visit the feeder.